American general. Born in the city of Livisburg, Pennsylvania, into a family of English immigrants who came to America in 1635. His father was a professor of Greek at the Livisburg Baptist University. Education Bliss received at the Military Academy at West Point. In 1876 he began service in artillery, but soon returned to West Point and took the post of instructor. During the years 1885-1888 he served as a professor of military sciences at the American Naval College in Newport. In the years 1888-1895, he was an adjutant to the inspector of the armed forces of General Schofild, and, since 1897, he served as a military attaché in Madrid for two years. 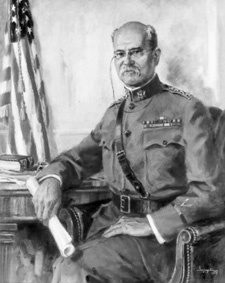 As part of the 1st Division in 1898, he participated in campaigns in Puerto Rico and Cuba. Since 1902 - Special Representative of the United States in Cuba. From 1905 to 1909 Bliss’s service was connected with the Philippines: he headed the Luzon department and the department of Mindanao, commanded the Philippine division. In the following years, he was a member of the Army General Staff, President of the Military College, Assistant Chief of General Staff, Inspector of the California Department, Brigade and Eastern Division Commander, Head of the Western Department, Commander of the Western and Cavalry Divisions. From February 1915, Bliss took the post of Assistant Chief of the General Staff, and since September 1917 - Chief of the General Staff. April 6, 1917, the United States entered the world war on the side of the Entente countries. With the formation of November 7, 1917 by decision of the Conference in Rapallo of the Supreme Military Council of the Allies, Bliss entered its structure as the representative of the United States. On May 19, 1917, he resigned as chief of the General Staff and was appointed American Commissioner at the Paris Peace Conference. In the years 1920-1927, Bliss was the Governor of the Soldiers' Home for the Disabled in Washington. He died in Washington. Buried in Arlington Cemetery. 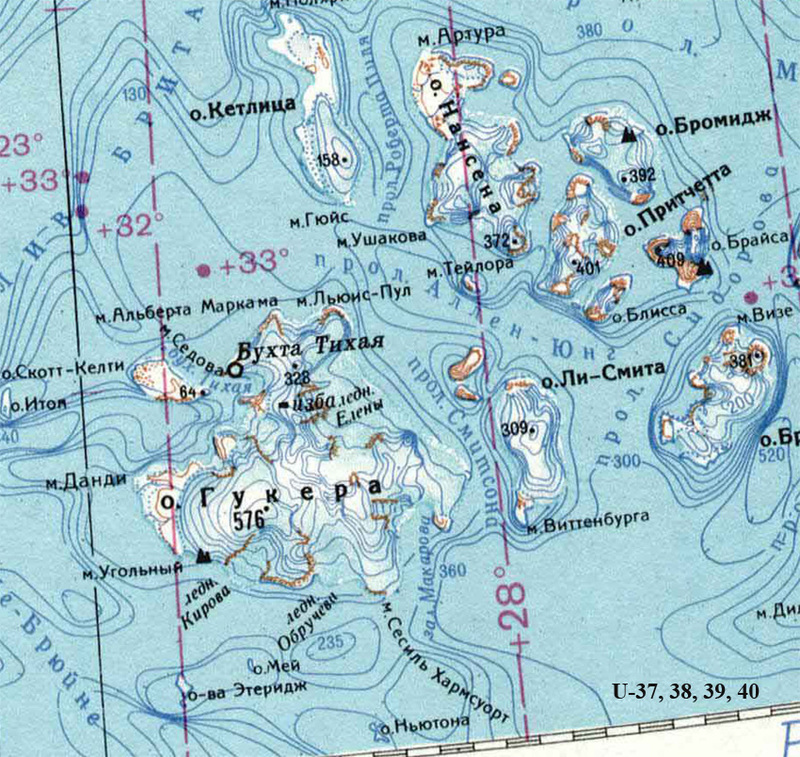 An island in the south of the archipelago Franz Josef Land. Opened in 1899 by the expedition of William Wellman on the ship "Capella".